The bestselling final novel by a writer of incomparable range, power, and achievement, a three-time winner of the National Book Award. 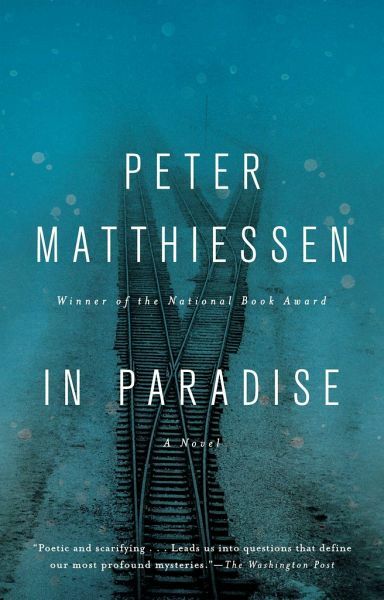 Peter Matthiessen was a literary legend, the author of more than thirty acclaimed books. In this, his final novel, he confronts the legacy of evil, and our unquenchable desire to wrest good from it. One week in late autumn of 1996, a group gathers at the site of a former death camp. They offer prayer at the crematoria and meditate in all weathers on the selection platform. They eat and sleep in the sparse quarters of the Nazi officers who, half a century before, sent more than a million Jews in this camp to their deaths. Clements Olin has joined them, in order to complete his research on the strange suicide of a survivor. As the days pass, tensions both political and personal surface among the participants, stripping away any easy pretense to resolution or healing. Caught in the grip of emotions and impulses of bewildering intensity, Olin is forced to abandon his observer's role and to bear witness, not only to his family's ambiguous history but to his own. Profoundly thought-provoking, In Paradise is a fitting coda to the luminous career of a writer who was "for all readers. He was for the world” (National Geographic). 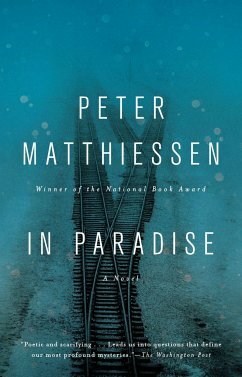 Peter Matthiessen was the only writer to win the National Book Award for fiction and nonfiction. A cofounder of The Paris Review, he was a member of the American Academy of Arts and Letters and a recipient of its William Dean Howells Award, among many other honors. He was also a world-renowned naturalist, explorer, activist, and Buddhist teacher. He died in 2014, just before publication of In Paradise, in the home on Long Island's South Fork where he had lived for more than sixty years.